Saturday morning session optional, tea/coffee and a bacon/veggie sausage roll available for £2. Please book here so that we know numbers for catering. 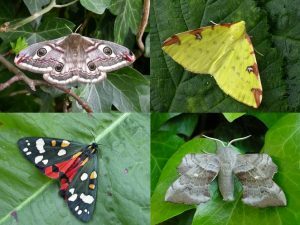 Join us for this unique 2-part event where we will be introducing you to the fascinating world of moths! On the Friday Adrian Russell will be giving you an introductory talk about moths, where some of you will have the opportunity to take a moth trap* home with you to use in the garden for the night. On the Saturday we will then be meeting for breakfast with Adrian to help you identify what you caught during the night! * Moth traps use a bright light to attract moths and do not kill them.